It can be recycled and easy to be installed and dismantled. We provide the whole project which including design and produce , and OEM is also can be accpeted . *We accept bespoke of the customized booths,display stands,showcases,etc. *Available success design for yr reference. *Provide you with cost-effient exhibition&display solutions. 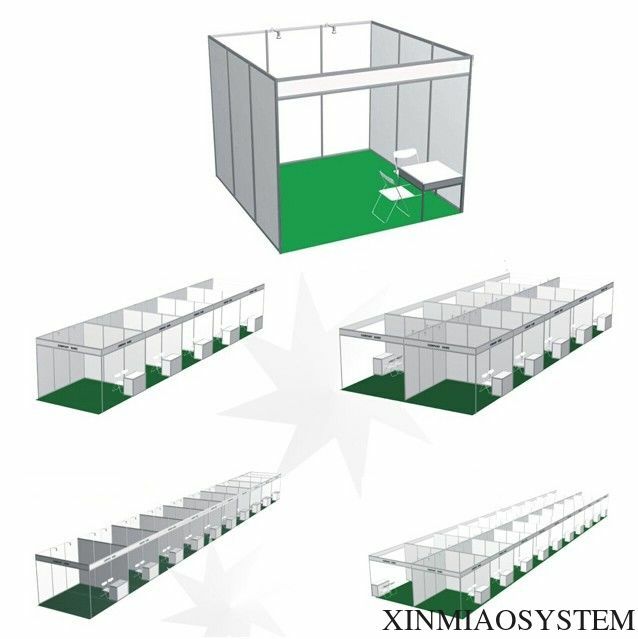 *Product is compatible with OCTANORM system and kinds of portable exhibition with high quality. 2. The raw material of pvc panel is lauan , the thickness is 3.0±0.2mm.